M Performance Carbon Fiber Mirror Caps for BMW F10 is finally out! These mirror caps is crafted by hand using high quality Carbon Fiber weave material. In addition, the mirror caps are clear-coated to protect from discoloration caused by UV rays. 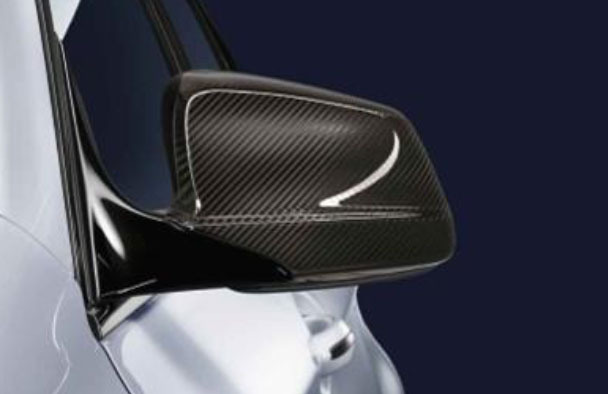 The M Performance Carbon Fiber Mirror Caps goes great with other carbon fiber parts, allowing you to accentuate body color and fully customize your Bimmer's appearance. Get these mirror caps installed professionally by our experienced techs. Our technicians are highly trained to perfect each install!